The German Army first began experimenting with flame-throwers in 1900 and were issued to special battalions eleven years later. The flame-thrower used pressurized air, carbon dioxide or nitrogen to force oil through a nozzle. Ignited by a small charge, the oil became a jet of flame. Flame-throwers were first used at the Western Front in October 1914. Operated by two men, they were mainly used to clear enemy soldiers from front-line trenches. At first they had a range of 25 metres but later this was increased to 40 metres. This meant they were only effective over narrow areas of No Man's Land. Another problem was that the flame-thrower was difficult to move around and only contained enough oil to burn 40 seconds at the time. Soldiers who operated flame-throwers had a short-life span because as soon as they used them they were the target of rifle and machine-gun fire. The British Army also experimented with flame-throwers. However, they found short-range jets inefficient. They also developed four 2-ton thrower that could send a flame over 30 yards. These were introduced in July 1916 but within a couple of weeks two had been destroyed. 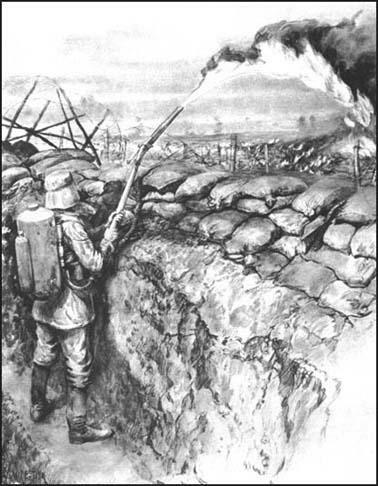 Although these large flame-throwers initially created panic amongst German soldiers, the British were unable to capture the trenches under attack. With this failure, the British generals decided to abandon the use of flame-throwers. 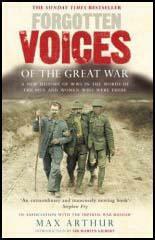 The enemy were attacking under cover of flammenwerfer, hose pipes leading to petrol-tanks carried on the backs of men. When the nozzles were lighted, they threw out a roaring, hissing flame twenty to thirty feet long, swelling at the end to a whirling oily rose, six feet in diameter. Under the protection of these hideous weapons, the enemy surrounded the advance pill-box, stormed it and killed the garrison.